Limited edition! Due to this rarely available raw material, this article is only available in limited quantities. 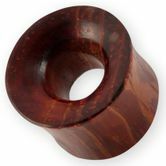 A natural ear tunnel for men and women, made of very beautiful wood. These are handmade unique pieces, with beautiful structure and color. It is available in sizes 6 to 22 mm. Satiné rubane, Blood wood (Brosimum paraense) is predominantly from the Amazonian countries Guyana, Venezuela and Suriname. There it is also called Muirapiranga (Blood of the Piranha). 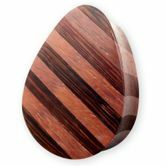 This very hard wood has an amazing structure and a very beautiful light to intense red color with a silky shine. 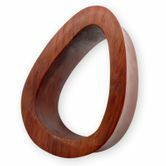 That is why it is also called "red satin wood" in French-speaking countries. In addition, the color does not turn yellow, but rather becomes more intense with old age. 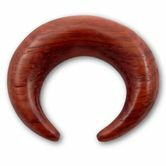 Due to the saddle shape of the ear plugs - narrower in the middle - no holding rubber rings are necessary. 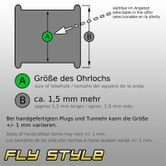 The plug sits perfectly on the ear and does not slip. Jewelry made of organic materials (such as wood, horn and bone) provides the best wearing comfort due to its lightness and unlike piercing jewelry made of plastics or metals, the odor formation is greatly reduced and suitable for allergy sufferers. When used correctly, the jewelry is harmless but cannot be sterilized. Each plug is handmade and unique in color and shape. 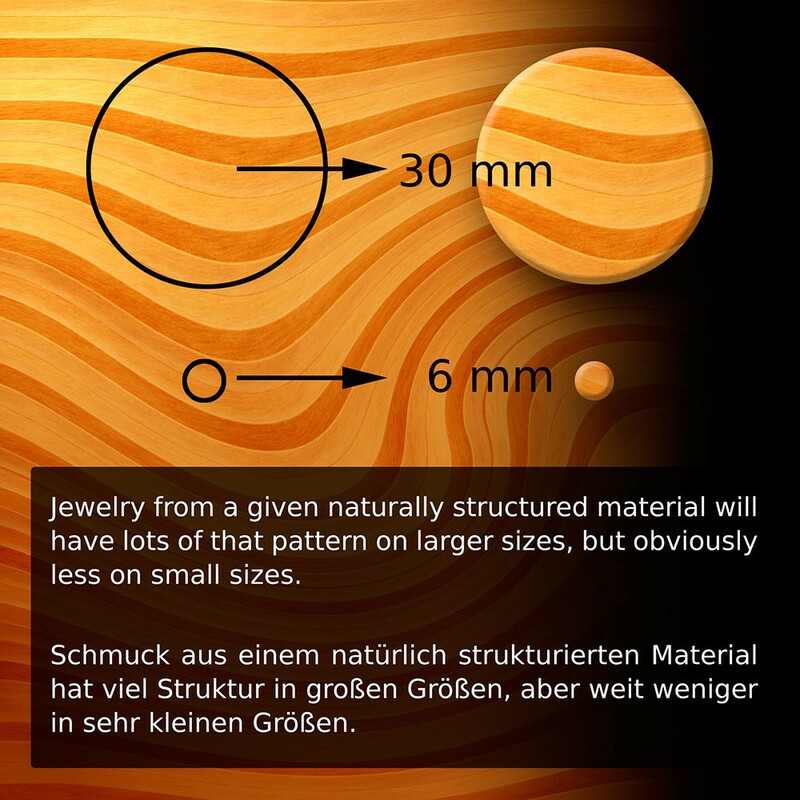 Handmade from natural materials: slight variations in size (+/- 1 mm) shape, color and structure possible.